You probably have fond memories of daily naptime in elementary school, and wish you could go back to those simpler days when the world moved slower and you didn’t feel so exhausted all the time. The good news is that you can take daily naps, and actually should. We all have been programmed to think that naps only exist for newborns, toddlers, the elderly, and pets, but what about us adults?! We certainly deserve some rest during our hectic days, right? Right! Getting some midday rest is actually normal in some countries, such as Spain, Ecuador, and other Spanish-speaking areas of the world. They call these afternoon naps siestas, and this downtime is deeply ingrained in the cultures. First of all, daily naps improve your cognitive functions, which makes sense because you give your mind a rest when you lie down for a power nap. Plus, if you didn’t get enough sleep the night before, or didn’t sleep well, then your nap might just be a lifesaver. We all know that sleep allows your brain to recharge and can even boost memory and learning. A study also showed that a 60-90 minute nap can increase mental performance and capacity for up to 24 hours afterwards, and could help you learn a visual perception skill just as well as you could with a full night’s sleep! Secondly, taking daily naps can improve your heart health. A Harvard study discovered that those who nap regularly have a much lower risk of developing heart problems later on in life. For this to have effectiveness, however, you will need to get some midafternoon shut-eye for at least three times a week for 30 minutes. Another obvious benefit to taking naps is that it greatly reduces stress and anxiety. With a sleep deficit, you start developing more cortisol in your body, and therefore, feel more on edge. Naps can help to reduce cortisol levels so that you feel refreshed and revitalized. Fourthly, naps can help to curb food cravings. When we lack sleep, we start to seek sources of energy, and of course, one of the best ways to receive energy comes from the foods we eat. However, a sleep deficit can cause us to make poor food choices, as we tend to look for foods with the highest calories possible in order to stay awake. Therefore, a power nap a day can keep the cravings away. Finally, naps can help you to perform better in your workouts. Seems counterintuitive? Well, consider this. If you don’t get enough sleep, you won’t have the energy necessary to exert yourself during physical activity. By napping, you will restore your energy levels, and can even improve motor reaction skills and speed during workouts, according to this study. You’ve probably heard of the 2PM slump, when most people feel like crashing during their workday. This makes sense, as you probably just ate lunch and your body is digesting food while you try to work. 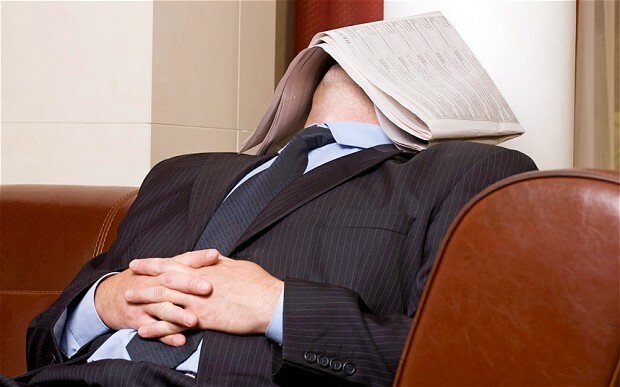 If you can, try to nap during part of your lunch break, as this will help you to power through the rest of your day. Napping too late in the day can negatively impact your sleep at night, so try to keep it in the timeframe of 12-2PM. You don’t want too much sleep, but you want enough to feel well-rested. A 60-90 minute nap is ideal, but if you can’t nap for that long, then a 30-minute power nap will do the trick. Set your alarm to play a relaxing song or tone upon waking, so that you don’t feel jostled out of your sleep. This means using a sleeping mask and earplugs if necessary to block out light and noise, and maybe making yourself a cup of tea beforehand to relax you into your nap. Also, don’t forget to set your timer on your phone so that you don’t oversleep. Make sure you make your room conducive to sleep. Dim the lights, turn the air down, get under a cozy blanket, and keep your head elevated on a pillow. You don’t want to fall into a deep sleep, but you want to feel rested when you awaken. We have such an obsession with staying productive in our society that we largely neglect our health for the almighty dollar. Don’t overwork yourself, and treat yourself like you would your best friends and family.